Rassada Pier will put a smile on your face because arriving at Rassada Pier means you are a short boat ride away from the island paradise known as Phi Phi Island. 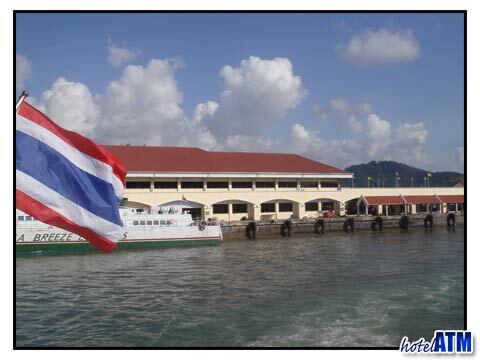 Rassada Pier is the hub for getting to and from Phi Phi Island by ferry, water taxis, chartered boats or hotel boats. Visitors who have been to Phi Phi Island before often smile immediately upon arriving at Rassada Pier because they know that within a few minutes they will be enjoying a cocktail as they sit on the stunning beaches of Phi Phi Island as the local staff wait on them with exceptional service. You will go to and from Rassada Pier throughout your holiday if you plan to engage in any activities on the mainland. The ferry schedule is easy to follow and generally runs on time. Even if the ferry is a few minutes late, people do not seem to mind. Phi Phi Island is an amazing holiday destination that has a lot to offer. With no cars on the island, no bridges or tunnels the only way to and from the island is by boat. This makes the island that much more special and unique. When you arrive at Rassada Pier you will be able to take a ferry, but if the wait is too long you may want to consider a water taxi or private charter. It may be fun to take a private charter over to Phi Phi Island and talk to the boat captain. You can learn a lot and have a cultural experience as you head to your island paradise. The cost of ferries, water taxis and even private charters are all relatively inexpensive. Visitors to Phi Phi Island often marvel at how reasonably priced most things are. It is possible to have a first class holiday on Phi Phi Island and stay well within your budget especially by doing some advance planning and having a game plan. 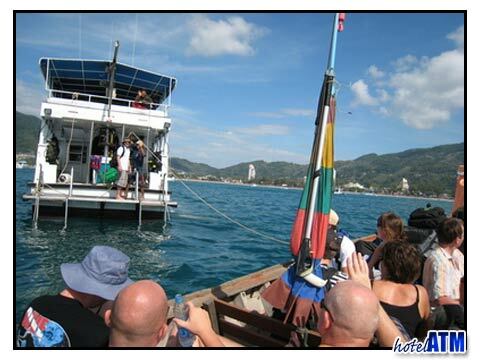 Phi Phi Island holidays are becoming more popular and Rassada Pier remains the hub for getting to and from the island.